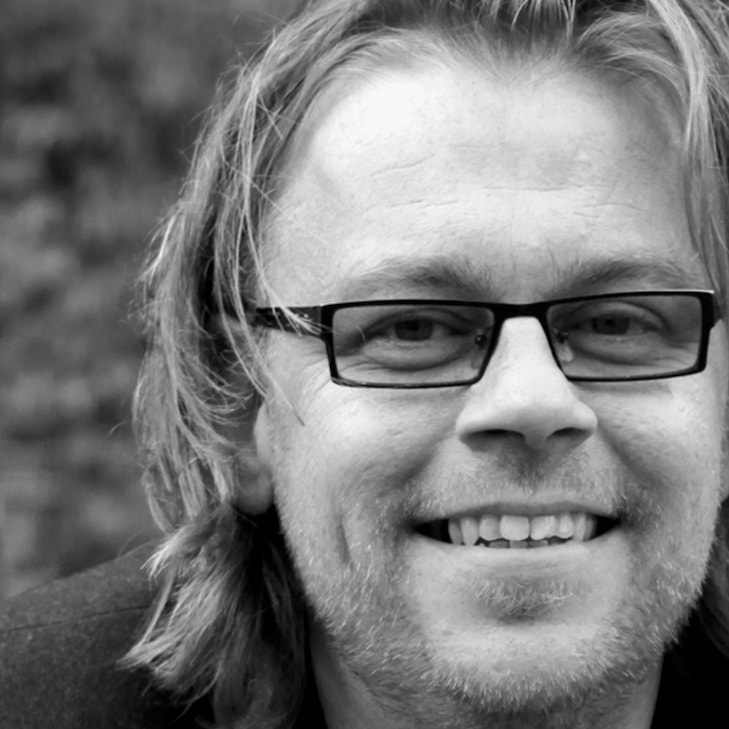 Imagine yourself in a forest of bamboo! 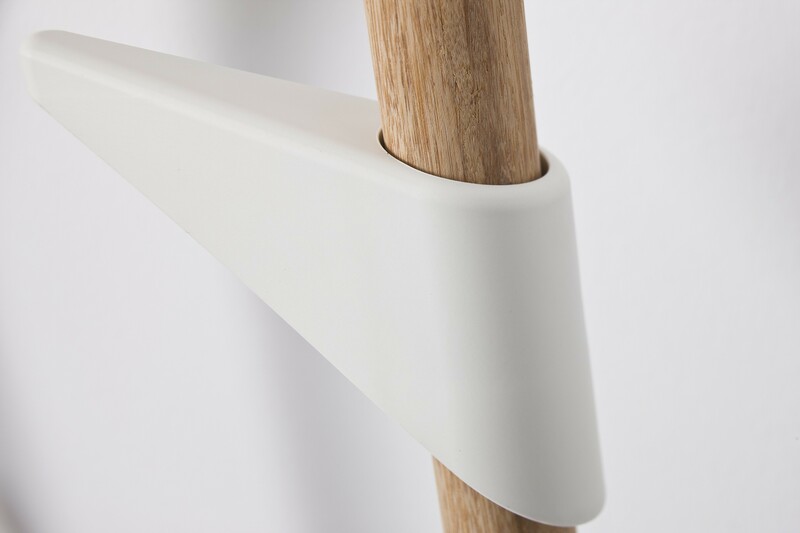 The Bamboo 3 coat rack by Cascando is beautiful in its simplicity. 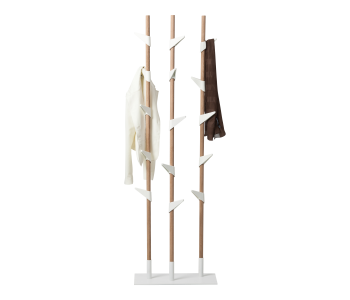 This designer coat rack with steel base consists of three bamboo stands and 15 matt-white plastic hooks shaped like leaves. Placing several Bamboo coat racks next to each other creates a natural room divider. Suitable for decorating the living room or office! 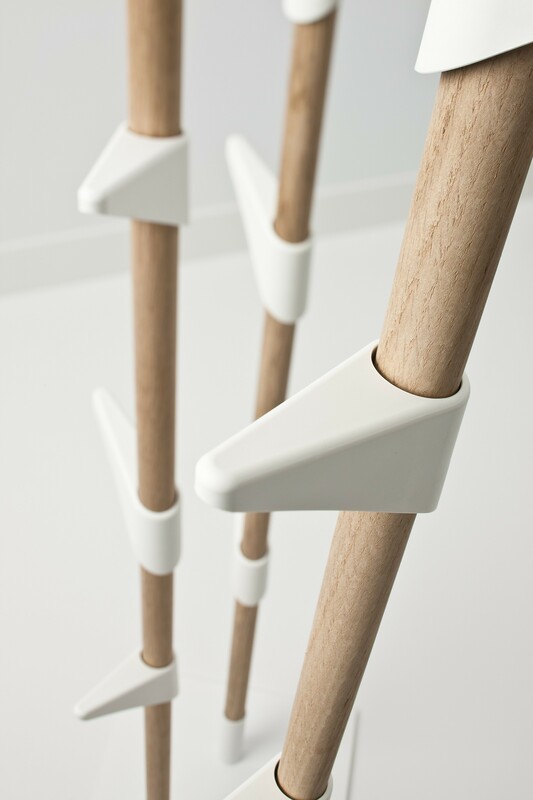 The Bamboo 3 coat stand by Cascando is a designer coat rack that excels in its simplicity and ingenuity. 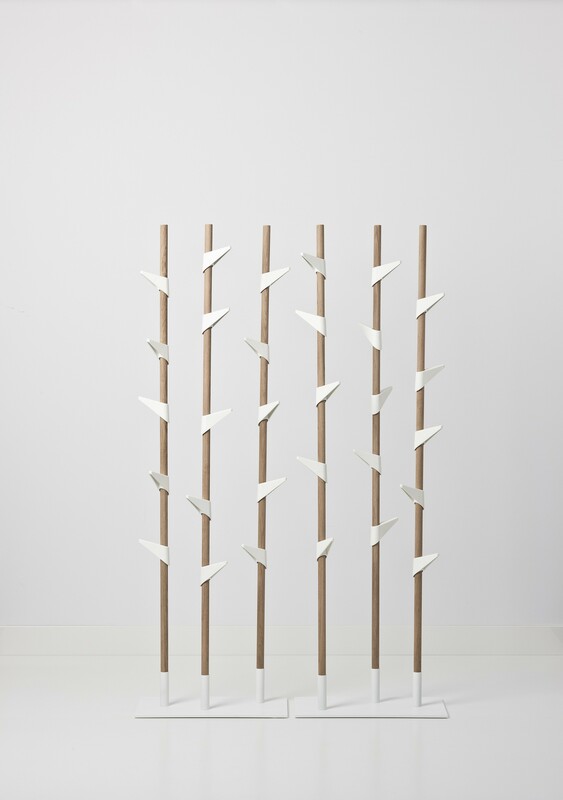 The standing coat rack by Cascando consists of three vertical stands of solid bamboo and 15 matt-white plastic coat hooks shape liked leaves. In addition to its beautiful design, this coat rack is also practical and convenient; the coat hooks of the Bamboo 3 coat rack by Cascando are easily adjustable in terms of height and direction. Furthermore, by placing multiple coat racks next to each other you can create a natural room divider. A coat rack suitable for private and business use! 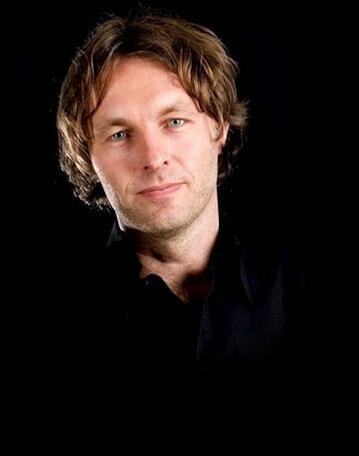 Designer Peter van de Water is inspired by simplicity of form, function, and construction. 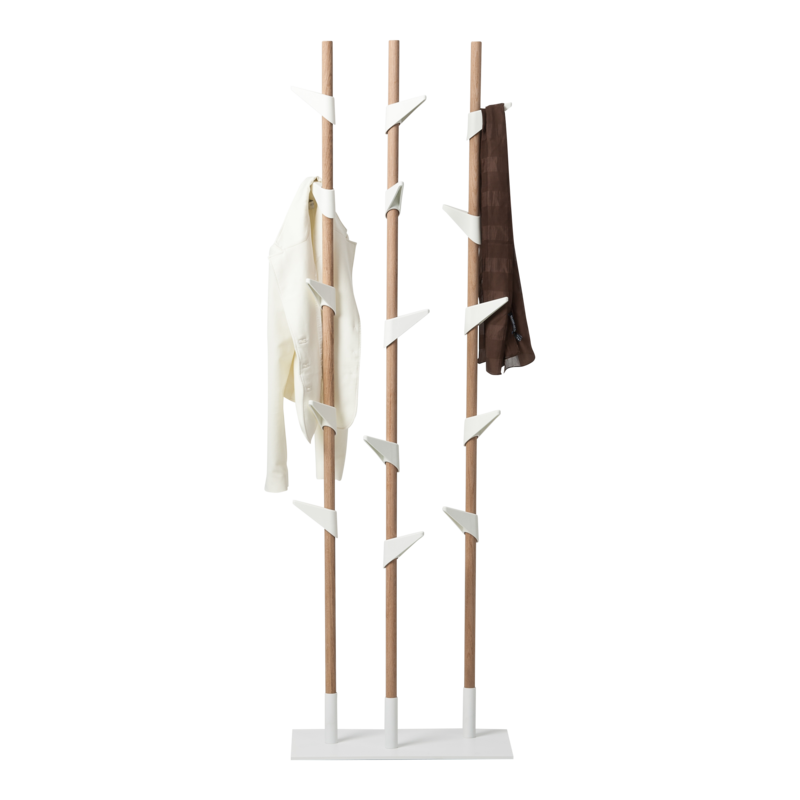 This resulted in the Bamboo 3 coat rack by Cascando with three vertical stands of solid bamboo and a white metal base. The coat rack is therefore extremely stable, even with multiple coats. The simplicity of the design is also reflected in the matt-white plastic hooks, attached like leaves to the bamboo stand. 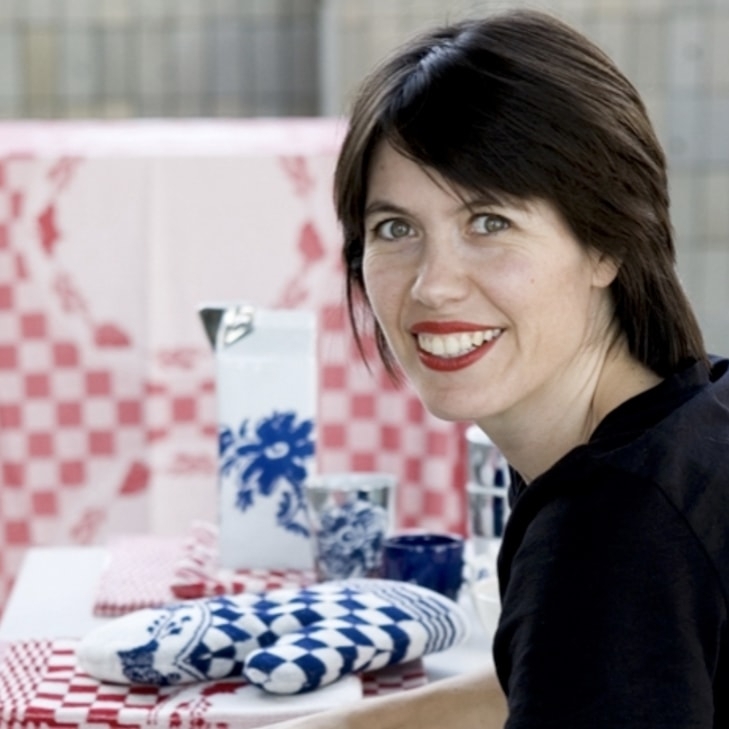 A piece of natural design in your home! The Bamboo coat rack by Cascando is available with 1 stand (the Bamboo 3, with 5 hooks) or 3 stands attached to a base (for up to 15 coats). Both hooks are 180 cm tall and each stand comes with 5 coat hooks. By placing multiple Bamboo 3 coat racks next to each other, you can create a natural divider to separate spaces.